Argenta’s makers of qualitative products create beautiful solutions for the opening and closing of doors for more than a decennium. The company started in 1909 under the name of Argent Alu. What began with a wide assortment (lift-off) hinges, grew out to be a sophisticated collection of visible and invisible door fittings. Argenta lifts the operation of doors to a higher level. Her line with invisible products makes sure that (the mounting of) doors can hardly be noticed in a room. 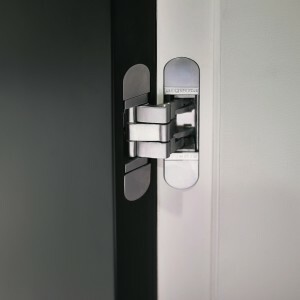 And what do you think of their fantastic pivot hinges that uniquely twist your door? With Argenta’s ‘invisidoor’-line, the company chooses the path of advanced technology which let doors blend into the room. A style that fits the trend of minimalistic and tight interiors perfectly!